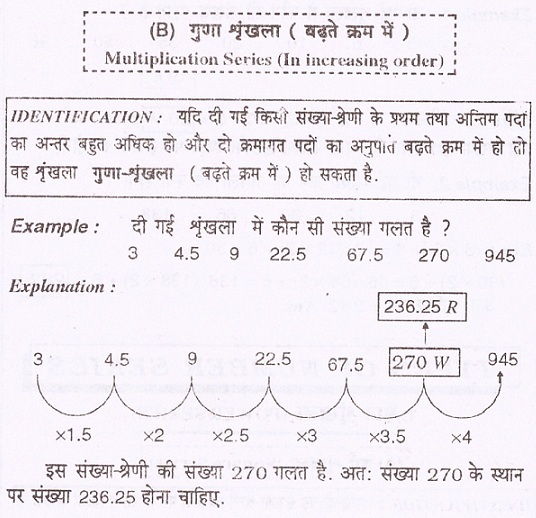 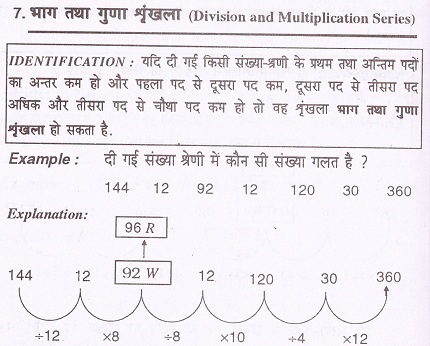 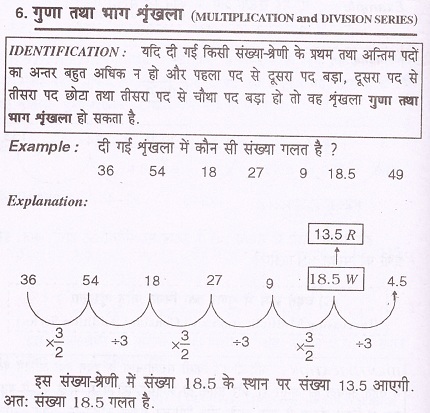 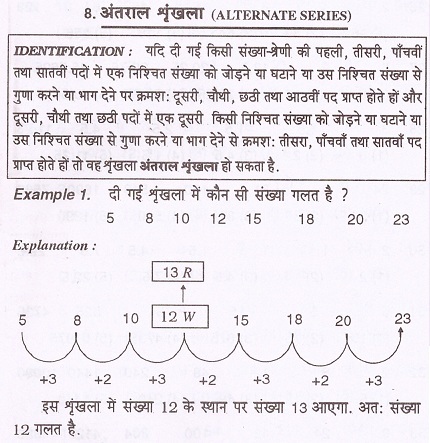 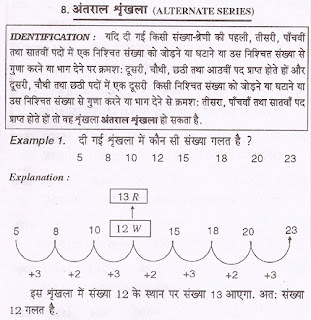 As we know that various competitive exam having aptitude syllabus; and in this syllabus there are some questions asked from number series sections. 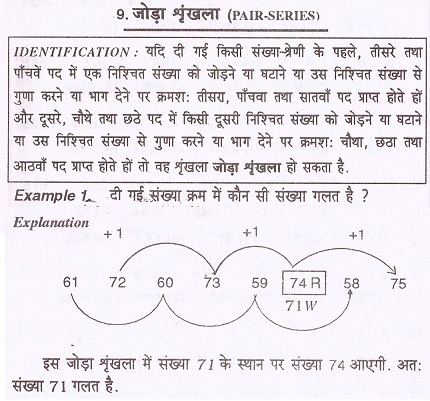 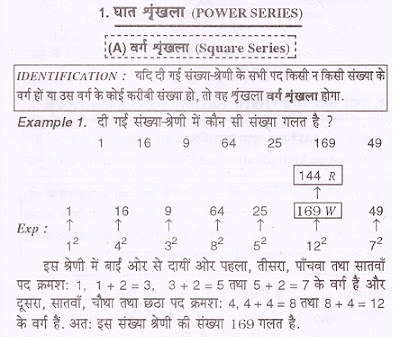 For the same we are going to share some most important and very useful short tricks of number series questions in Hindi as well as English language. 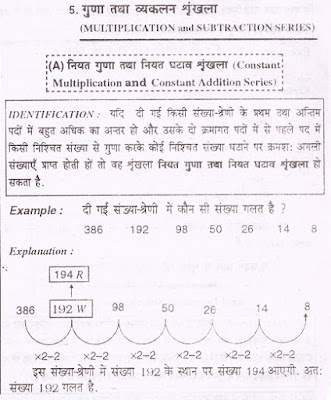 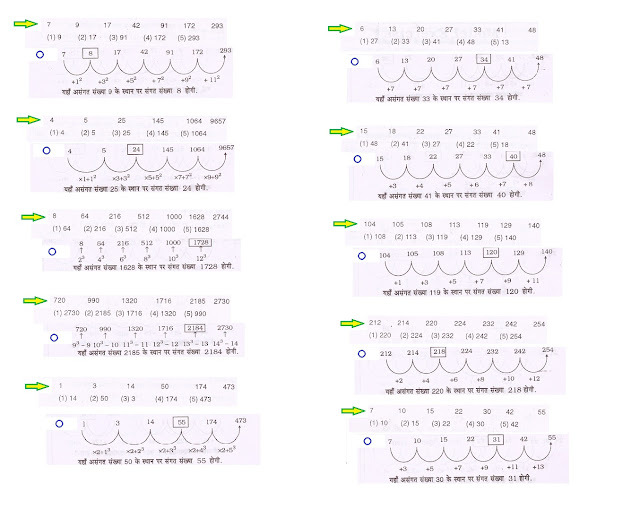 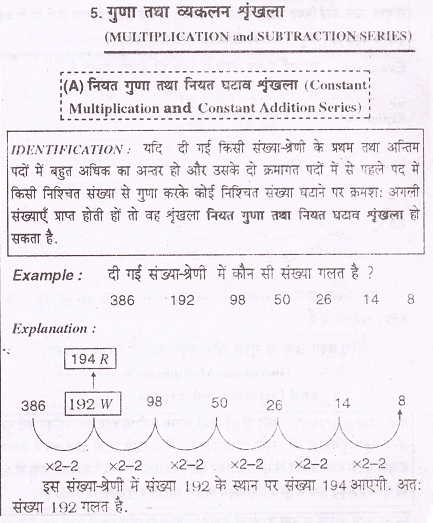 It is very useful for those candidates who want to solve this number series questions in very short time with accuracy. 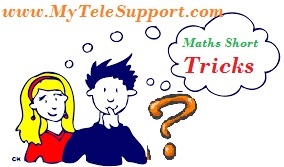 This post also contain important questions and examples of various tricks which is asked in previous year exams. If all steps of given series is square or near to square, then this type of series is known as square series. Example :- In the given number series, which number is not correct ? 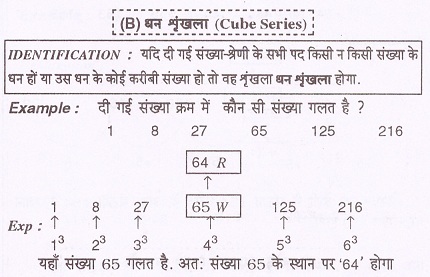 If all steps of given series is cube or near to cube, then this type of series is known as Cube series. 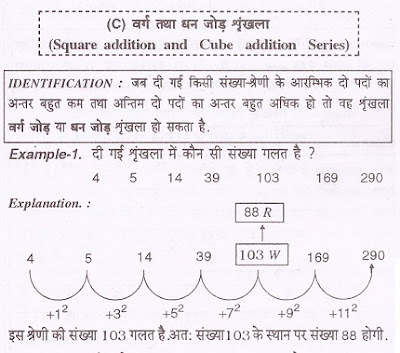 If in given number series, the difference between the first two numbers is very small and difference between last two numbers is very large, then this type of number series is called Square addition or cube addition series. 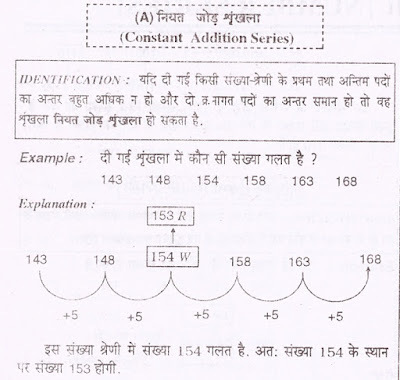 If in the given series the difference between first and last terms is not more and difference of two sequential numbers is same, then this type of series is known as Addition series. 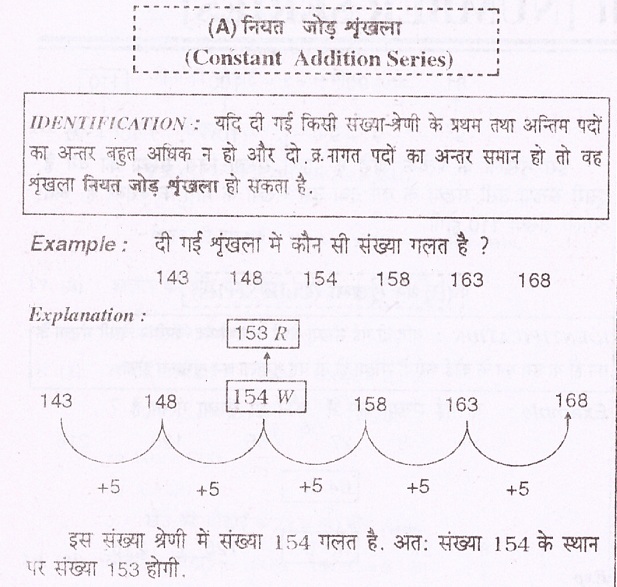 If in the given series the difference between first and last terms is not more and difference of two sequential numbers is in increasing order, then this type of series is known as Addition series in increasing order. 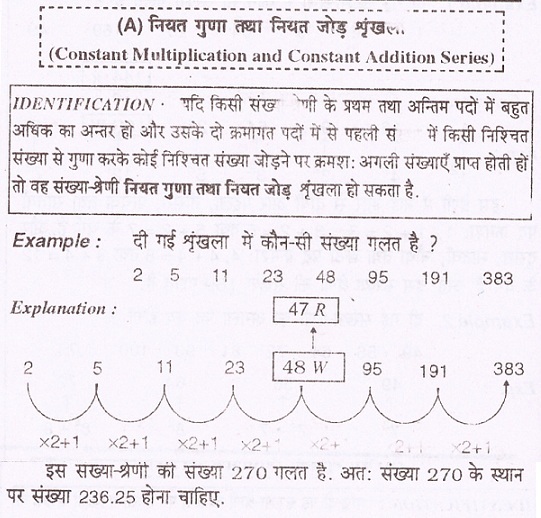 If in the given series the difference between first and last terms is very large and ratio of two sequential numbers is same, then this type of series is known as constant multiplication series. 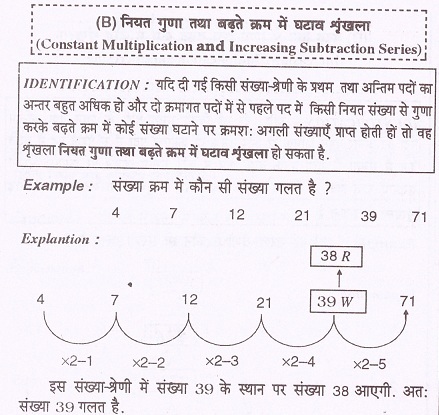 If in the given series the difference between first and last terms is very large and ratio of two sequential numbers is in increasing order, then this type of series is known as multiplication series in increasing order. 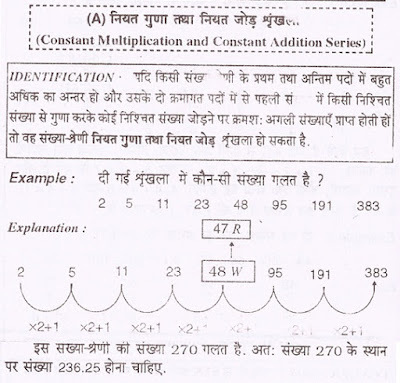 If in the given series the difference between first and last terms is very large and from there two sequential numbers by multiplying a fix number and then adding a fix number the next number will get, then this type of series is known as constant multiplication and constant addition series. 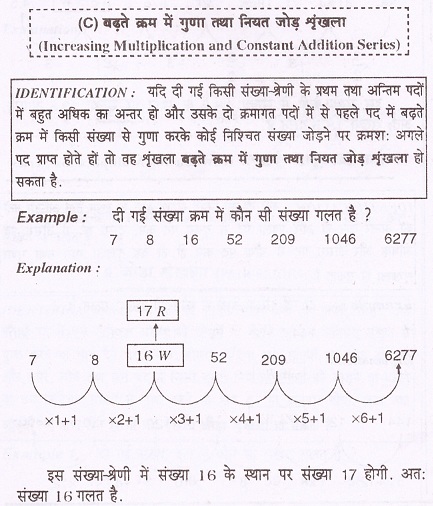 If in the given series the difference between first and last terms is very large and from there two sequential numbers by multiplying a fix number and then addition of number in increasing form the next number will get, then this type of series is known as constant multiplication and increasing addition series. If in the given series the difference between first and last terms is very large and from there two sequential numbers by multiplying number in increasing form and then adding a fix number the next number will get, then this type of series is known as increasing multiplication and constant addition series. 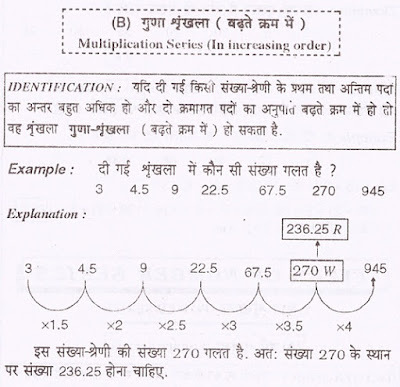 If in the given series the difference between first and last terms is very large and from there two sequential numbers by multiplying number in increasing form and then addition of number in increasing form the next number will get, then this type of series is known as increasing multiplication and increasing addition series. 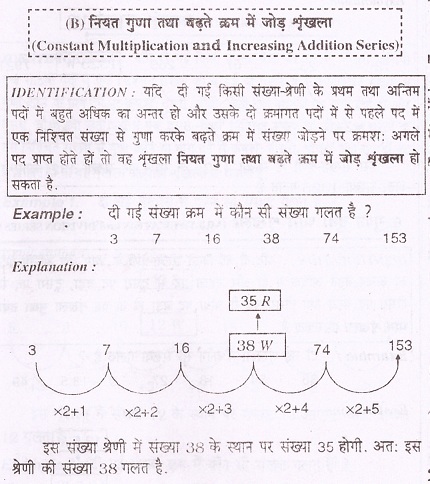 If in the given series the difference between first and last terms is very large and from there two sequential numbers by multiplying a fix number and then subtracting a fix number the next number will get, then this type of series is known as constant multiplication and constant subtraction series. 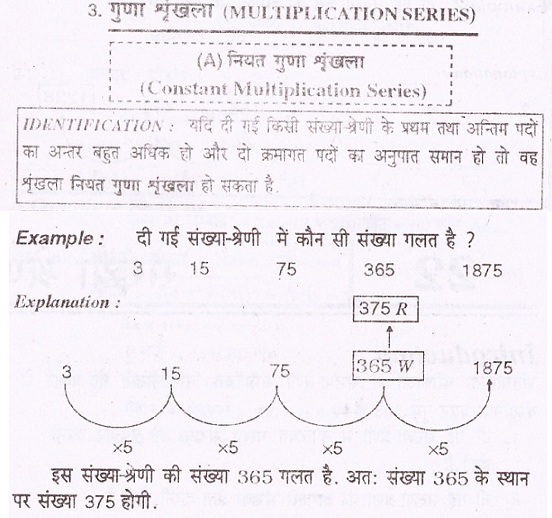 If in the given series the difference between first and last terms is very large and from there two sequential numbers by multiplying a fix number and then subtraction of number in increasing form the next number will get, then this type of series is known as constant multiplication and increasing subtraction series. 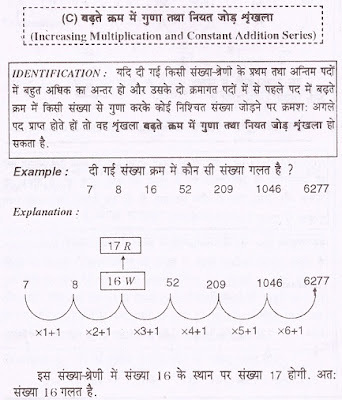 If in the given series the difference between first and last terms is very large and from there two sequential numbers by multiplying number in increasing form and then subtraction a fix number the next number will get, then this type of series is known as increasing multiplication and constant subtraction series. 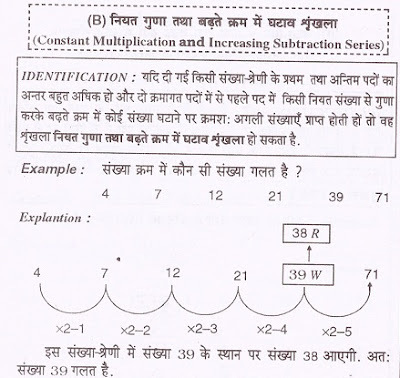 If in the given series the difference between first and last terms is very large and from there two sequential numbers by multiplying number in increasing form and then subtraction of number in increasing form the next number will get, then this type of series is known as increasing multiplication and increasing subtraction series. 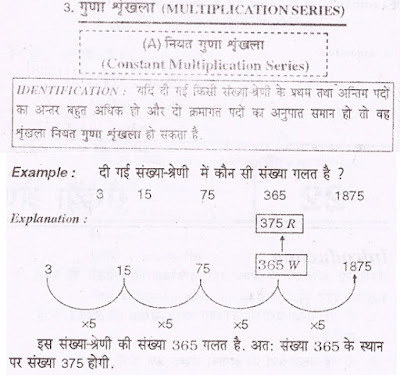 If in the given series the difference between first and last terms is very large and second number is bigger then first , third number is smaller then second and fourth number is bigger then third , then this type of series is called Multiplication and division series. 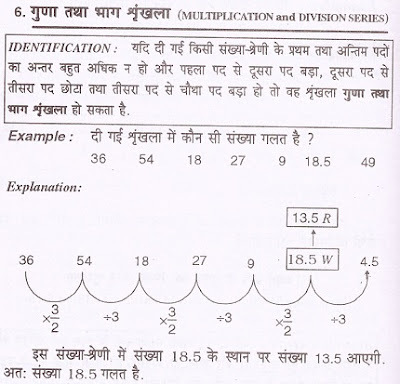 If in the given series the difference between first and last terms is small and second number is smaller then first , third number is bigger then second and fourth number is smaller then third , then this type of series is called Division and Multiplication series.